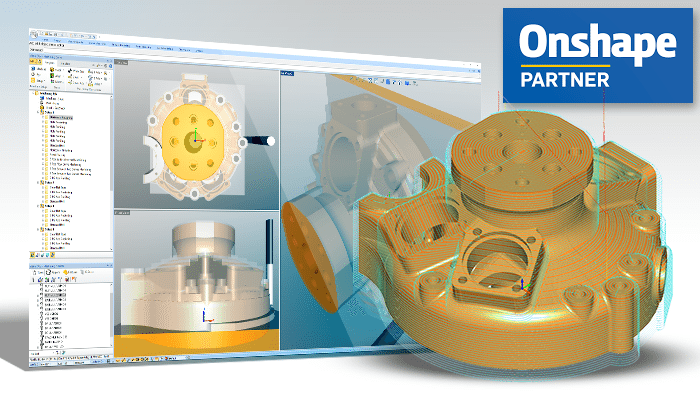 VisualIMPORT for Onshape allows import of Onshape 3D models into MecSoft’s Windows desktop product VisualCAD by accessing your Onshape account from inside VisualCAD. Once imported, utilize VisualCAD’s plug-in VisualCAM to create cutter paths for CNC machining. VisualIMPORT for Onshape is completely free and comes with no restrictions on its use. Once you have both products installed, launch VisualCAD/CAM from the start menu of your Windows computer. Locate the VisualIMPORT for Onshape icon in the Plugins group in the Home tab of the ribbon bar in VisualCAD, as shown below, and launch the product to access your Onshape account. Step 4 - Free CAM! To access FreeMILL from the VisualCAM product, locate the VisualCAM icon in the Plugins group in the Home tab of the ribbon bar in VisualCAD, as shown below, and select FreeMILL to begin using the completely free CAM product. Have fun! To learn more about FreeMILL click here!